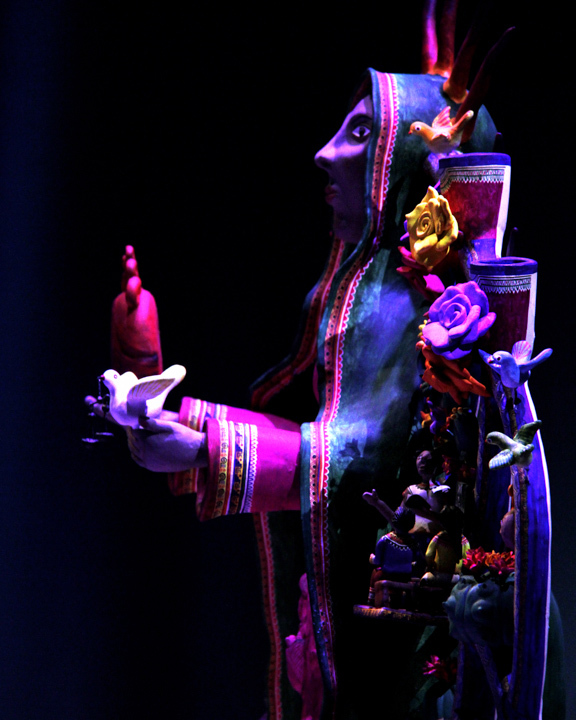 Verónica Castillo was born into a family of artists in Izúcar de Matamoros in the Mexican state of Puebla, an area renowned for Arbol de la Vida (Tree of Life) sculptures. Her father, Don Alfonso Castillo Orta, was honored with Mexico's prestigious El Premio Nacional de Ciencias y Artes (The National Prize of Sciences & Arts). Verónica began working in the family’s folk art collective as a child, creating tiny figures that were incorporated into larger works. 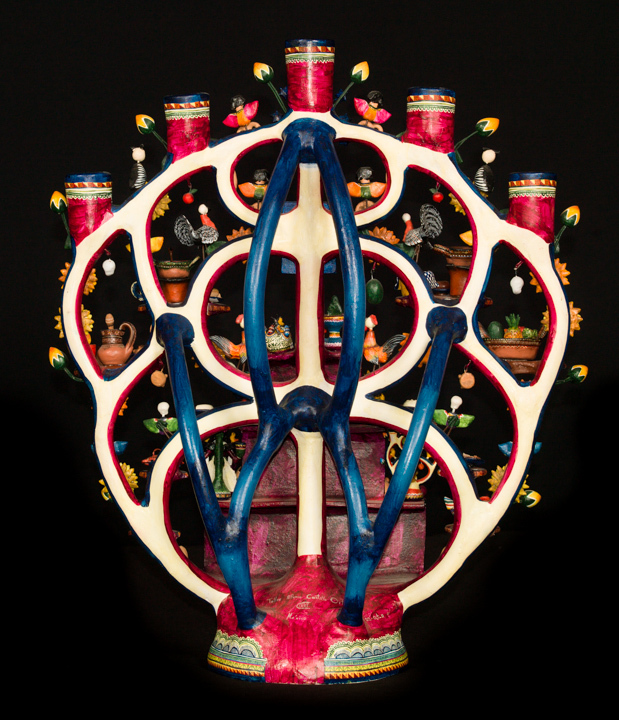 By her early teens, she was creating her own sculptures. The Trees of Life incorporate pre-Columbian traditions that were strongly influenced by the coming of Catholicism with the Spanish conquest. 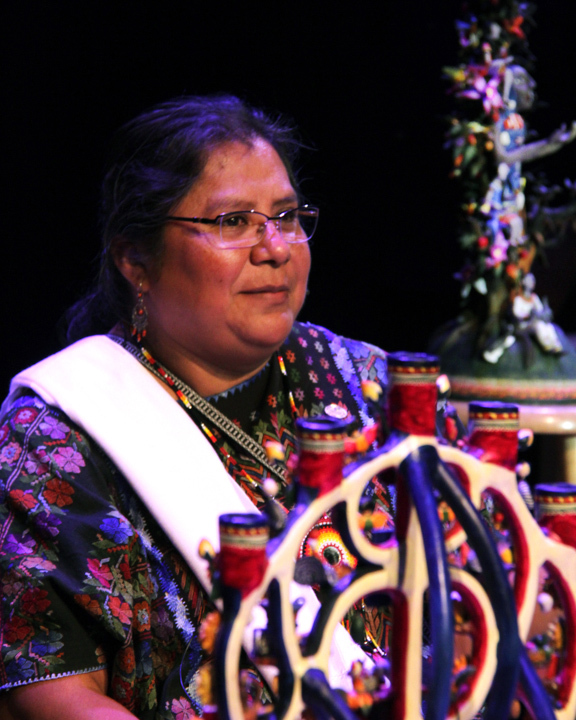 Working with her family, Castillo included symbols and designs from indigenous peoples to create beautiful, intricate works. Now, her subjects range from the history of mole, a sauce that represents a synthesis of Native and Spanish cultures, to contemporary social issues such as violence against women. Castillo came to the United States at age 24 and initially supported herself by working as an accountant. 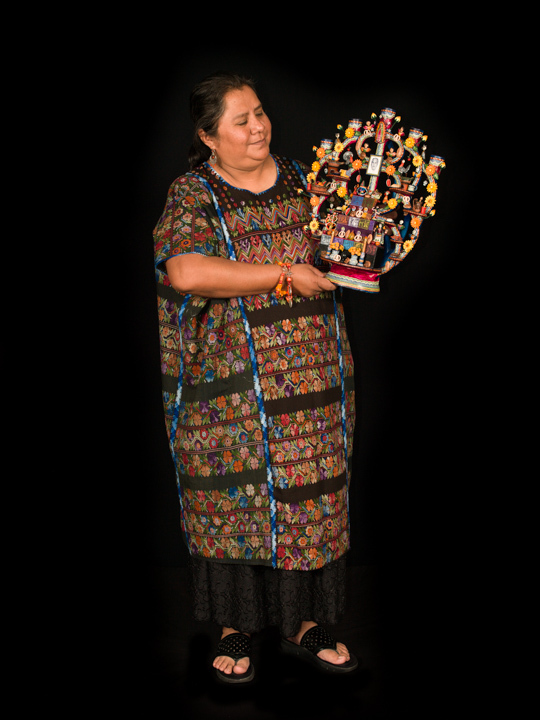 For fifteen years, she taught at MujerArtes, a women's ceramic and clay arts collective. 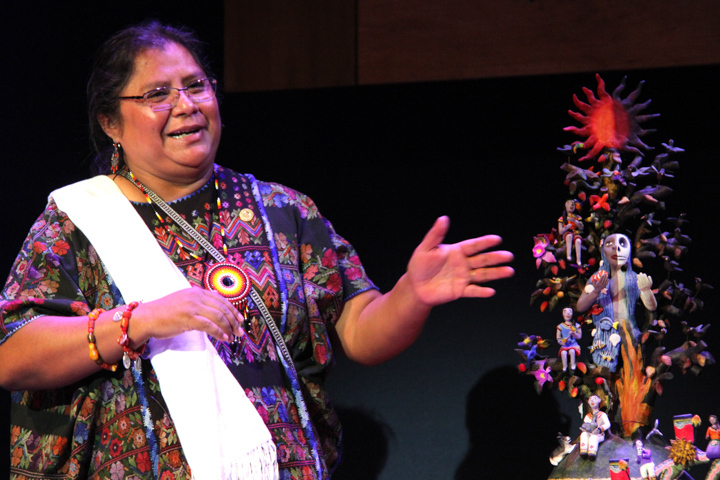 Until December 2012, she also was an artist-in-residence at Esperanza Peace and Justice Center in San Antonio. In July 2014, she opened Ecos y Voces de Arte (Echoes and Voices of Art), a new gallery and studio on the city’s historically Hispanic South Side. “This space is the fulfillment of a dream I've had since I was a girl,” she told a San Antonio Express-News reporter. 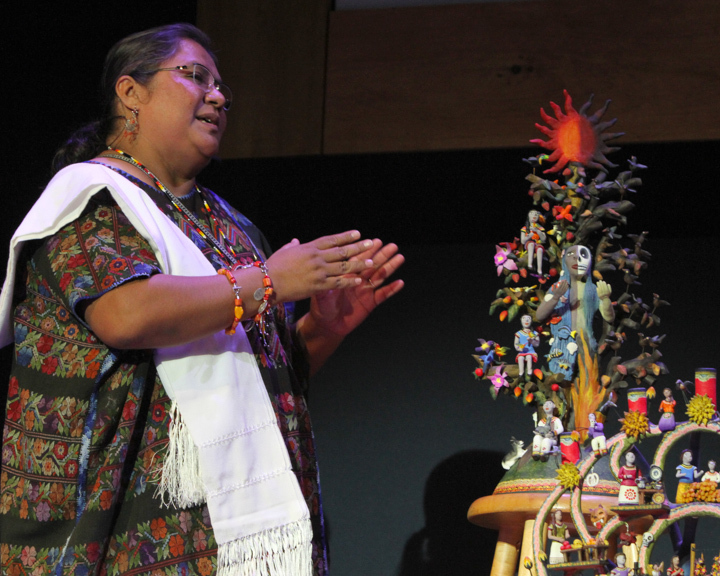 “It's going to be a space open to everybody — women, men, gays, lesbians, transgender people.” She will also continue to teach at the new facility, which, in addition to an exhibition space, houses a shop with clothes, tapestries, rugs and clay and metal works by other Mexican artisans on sale. Castillo explained that this will help artists who have been forced to seek other outlets for sales because of the impact of drug violence on tourism in their own country. She also plans to “bring the world to San Antonio” by carrying works by artists from Central and South America, Europe, Africa and India. 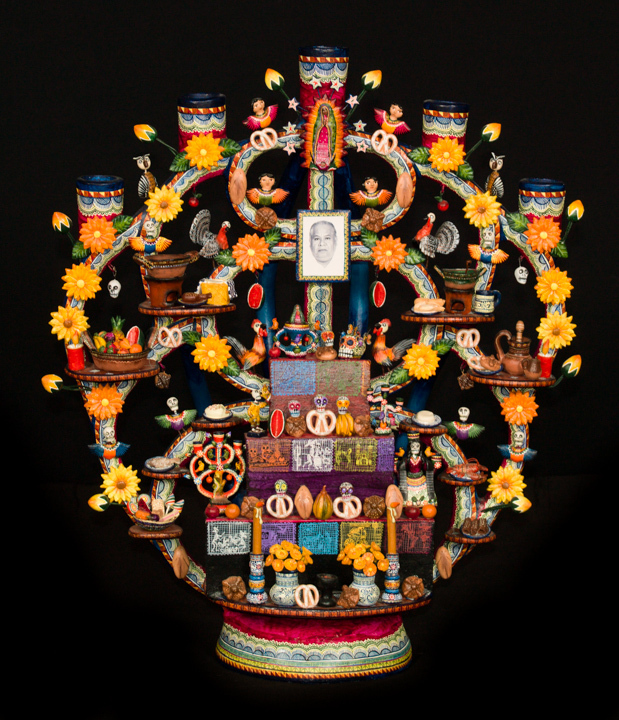 In the program book for a 2012 exhibition of her work at the Esperanza Center, she was quoted as saying, “Since my parents conceived me, I have had an intimate and intense relationship with clay, as well as a fluid connection and contact with the earth and water that give shape to my art, a gift endowed at birth that has given my family its artistic legacy in folk art."